Courtesy of iProperties International, Amber M Diskin. 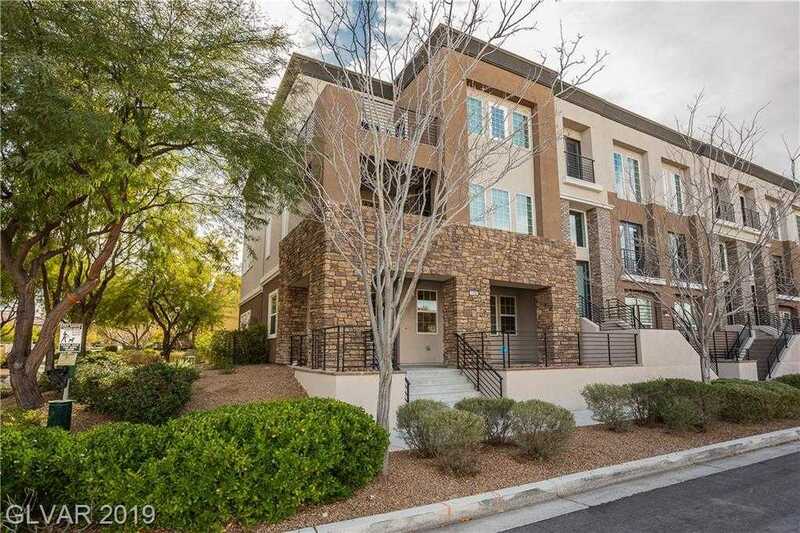 Gorgeous modern 3story townhome in the heart of Inspirada! Interior corner unit w/ killer city, mountain & STRIP views! 1st level-livingroom, bedroom & 3/4 bath. 2nd level-kitchen, master, livingroom, custom brick/tile wall, enclosed balcony. 3rd level-Front balcony w/ full city, mt & strip views, back balcony off 4&5th bedroom, front 2nd master w/ strip views, 3/4 bath & wi closet. Tankless wtr heater, epoxy 2 car oversized garage w storage. Please, send me more information on this property: MLS# 2087911 – $569,900 – 3155 Via Como, Henderson, NV 89044. I would like to schedule a showing appointment for this property: MLS# 2087911 – $569,900 – 3155 Via Como, Henderson, NV 89044.